While many patients think of BOTOX® as a cosmetic treatment, botulinum injections are also effective for treating migraines and muscle pain. We are proud of to offer BOTOX® for migraines for Greenville, Spartanburg and Anderson area patients. Botulism is a form of food poisoning that occurs from eating a neurotoxin produced by the bacterium Clostridium Botulinum. 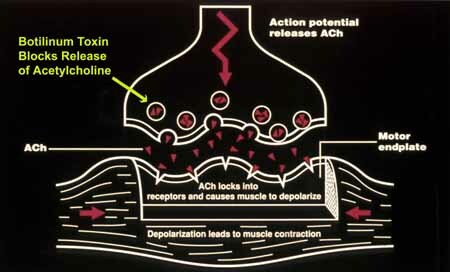 Botulinum toxin A and B are neurotoxins produced by Clostridium Botulinum. They have been isolated for pharmacologic use. When injected under proper medical direction these types of botulinum toxin can produce selective weakening within the muscles injected. The most serious symptom of botulism is paralysis, which in some cases has proven to be fatal. Botulinum toxins attach to nerve endings. Once this happens, acetylcholine, the neurotransmitter responsible for triggering muscle contractions, cannot be released. Essentially, the botulinum toxins block the signals that would normally tell your muscles to contract. Botulinum toxin has been successfully used to treat various conditions that in some way involve spasms or involuntary muscle contractions. When these spasms become so strong that they interfere with movement, the condition is referred to as Dystonia (abnormal muscle tone). BOTOX® for migraines can work when other treatments do not. Within a few hours to a couple of days after the botulinum toxin is injected into the affected muscles, the spasms or contractions are reduced or eliminated altogether. 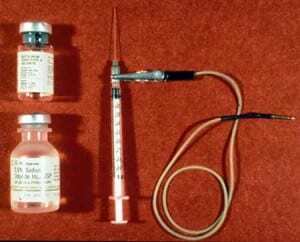 The effects of the treatment are not permanent, reportedly lasting anywhere from three to eight months. By injecting the toxin directly into a certain muscle or muscle group, the risk of it spreading to other areas of the body is greatly diminished. While current dosage and administration guidelines are intended to minimize the likelihood of side effects, several that may occur include unintended weakness in the muscles injected, flu like symptoms, pain, and bruising. Splinting, supports, or even assisted ventilation (in extreme cases) may be necessary if the weakness is severe enough. In most instances the selective weakening of the muscles injected is exactly what was intended by the injection and the results are quite favorable. Botulinum injection has evolved into a wonderful treatment option for conditions that have little or no other viable alternatives. If you seeking BOTOX® for migraines and live in the Greenville, Spartanburg or Anderson areas, call our office for a consultation.